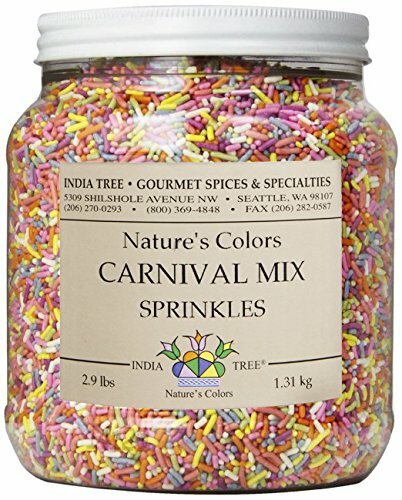 INDIA TREE Nature's Colors Sprinkles are the natural choice for adding interest to desserts and other baked goods. They contain only colorants and flavors derived from edible plants. INDIA TREE Nature’s Colors Sprinkles will add a delightful and festive touch to all your dessert creations. Made with pure cane sugar and colors from nature. If you have any questions about this product by India Tree, contact us by completing and submitting the form below. If you are looking for a specif part number, please include it with your message.